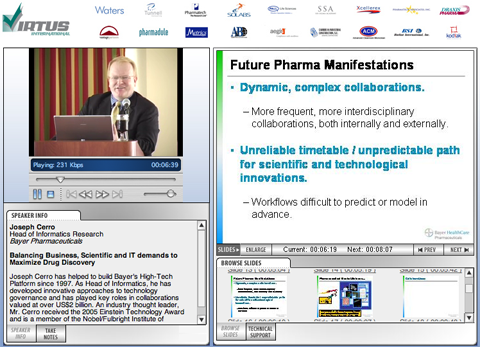 Keynote Presentation: "The New Pharma Model: Who Needs IT?" Honeycomb Connect Convention, Don CeSar Beach Resort, St. Pete Beach, Florida, USA. Download Keynote Presentation: (3.5 MB Zip archive). Download Conference Program: (2.4 MB PDF file). For those of you who were in the audience, thank you for attending, and thank you for a provocative Q&A session.